Of course this is the day we celebrate the failed attempt of Guy Fawkes and his pals to destroy the Houses of Parliament on the night of the 5th of November 1605. Sometimes I wonder whether we are celebrating the fact that Guy failed or that he valiantly tried! As always there is plenty of opportunity to see spectacular firework displays throughout the capital on and around the 5th November. Here you’ll see a list of firework displays going on in London with times and dates and other useful information, such as entrance fees and whether they have a bonfire! 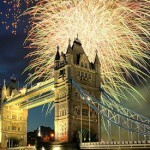 www.thefireworkshoplist.com is another good one for finding out what’s going on… Have a great time! !